In last week’s post, I shared my thoughts on the decision made by the principal of my son’s high school to revert the schoolwide summer reading assignment from “required” to “optional.” I disagree with this decision. As the past week has unfolded, and the ripple effects of the decision have expanded internationally, I have seen many reactions, often from people who will never set foot in Leon County, about what this decision means. The decision to reverse the summer reading assignment from “required” to “optional” is apparently going to stand. When I learned there was a meeting of the Leon County School Board scheduled for August 11, I decided to attend. At first, I thought I would just attend and see if the issue came up. As the date approached (and as the public opinions piled up pro and con), I decided I really had to speak about this, if allowed. I learned that there are two ways to speak before the board. 1) You can arrive at the meeting site prior to the 6:00 meeting time and fill out a PTBH (Persons to be Heard) card and submit it to a staff member or 2) You can call the school board office in advance and provide your information over the phone. I did not learn about the two options until the Monday before the board meeting (because I did not ask earlier…), so I had to go with option #1. I was told I would be allowed to speak for 3 minutes about the matter I stated on my PTBH card. As a parent who has had at least one child in this school system since 2001, I am glad I attended a meeting (and sorry this was my first). I came away from the discussion with a more comprehensive view of the issue from their angle. Specifically, it was informative to hear the comparisons between this situation and issues of appropriateness of human sexuality curriculum (i.e., (and I am paraphrasing here) “as a teacher I may think [name of student] will benefit from the human sexuality curriculum, but if their parent requests to opt them out, I have to comply with that request.”). I am grateful to the school board for giving me an opportunity to speak. While I understand issues like this take on a life (and definition) all their own once they blow up, it has been important to me that the discussion be as accurate as possible, in order to focus on solutions. This book has not been banned from our school system. The parent who is quoted in most of the newspaper articles appears to have requested an alternate assignment (rather than requesting the principal revert the assignment to “optional” for the entire school). Although there was back and forth about this assignment’s classification as “instructional materials,” at least one school board member has acknowledged that policy was not followed in response to a parent’s concern about the content of the book. First and foremost, what matters to me is: a book with clear literary merit, which ostensibly was chosen by English faculty based on that merit, should not have been the subject of one administrator’s ad-hoc action in the face of the concerns of a vocal minority of approximately 20 parents at a school of around 1800. …I fully support her choice to request an alternate assignment. The comments to the articles and blog posts I have read about this incident which attack her personally are the saddest to me. And I know this is how the blog world works. I know I, too, have set myself up for being the subject of personal attacks by being so public about this issue. I know if I choose to walk into the territory of public discourse that I must grow a thick skin and cultivate the good sense not to engage with those who just want to pick a fight for the sake of picking a fight. As I said when I wrote about Drought Shaming, “distrust among neighbors does not build a caring community.” In this case, I would amend that slightly to “animosity among parents does not nurture a caring school.” For all I know, the very parent in question and I may be responsible for jointly helping our students cope with a tragedy, sell concessions to support a school activity together, or (heh …) reshelve books at the media center together. It does neither of us any good to attack each other and it surely does not present a good role model to our children of civil discourse. Thirdly, although I feel certain the school district does not propose to “ban” or “remove” this book from our library shelves or digital content, I am uneasy at the whiff of the idea that it could ever happen. I really hope my fellow Leon County parents and literature lovers are with me on this one. Fourthly, here is why it matters to spend three minutes publicly defending one book. It is important to spend three minutes publicly defending one book because, although I believe what I said above in my third point, the erosion of intellectual freedom does not usually start by a flood, it starts by a trickle. Erosion can begin by saying “you have to register” if you are Jewish. Erosion can begin by saying “you have to count the soap bubbles” to vote. It matters to to put one sandbag in place to make it less likely that freedom to think will wash away. The Author Cafe (11.29.15): What Do You Do When a Book is Banned? Curious Incident identified as one of the ten most challenged books of 2015: Top ten frequently challenged books lists of the 21st century. The Curious Incident featured on Page 44 of “Pieces of Us,” the 2015-16 Lincoln High School yearbook. Who Gets to Choose Which Childhood Reading Experiences Are Appropriate? The Summer Reading assignments for the 2016-17 school year can be found here. A few months ago, I had to do a Toastmasters project called “Speaking Under Fire.” The objective of the speech was “dispel hostility and convince them that your side has some merit.” Our instructions included, “Select a generally unpopular point of view – perhaps one that you also oppose – in order to assure opposition.” The title of my speech was “My Unvaccinated Child is Just Fine Thank You.” Since I am a Shot at Life champion, this choice was definitely a stark contrast to my true beliefs. I pretended I was a pregnant anti-vaxxer speaking to a room full of pediatricians. It was difficult but the process of being in that woman’s shoes informed my approach. It didn’t change my beliefs, but it forced me to try to understand, on a very personal level, what her fears were and how they influenced her beliefs. The most eye-opening component was the understanding that this woman felt the way she did (and bought into misinformation the way she did) out of love for her child. We all want the best for our children. Honestly, if I tried to do the same with this incident, I would struggle. I do feel strongly that decision which was made was the wrong one, that this book has particular literary value, and that proper procedures should have been followed at the school level. For all my frustration at people who don’t live here, who have commented on this issue publicly, lumping all Tallahasseeans together, even the one who lumped us all in as “Silly Americans,” I appreciate author Mark Haddon’s tweet (he did the same for another local parent’s blog). Hundreds of commenters in an international audience have opinions. All I know from my little spot at the epicentre is precisely where my “stubborn ounces” are going to go: toward making sure the one student I have responsibility for has unfettered access to books which matter. 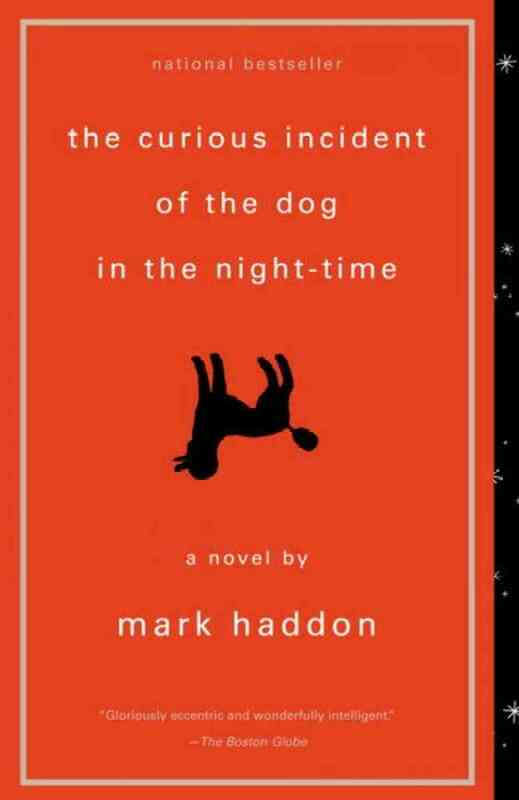 When I read Curious Incident during the PBS Tallahassee Great Read, author Mark Haddon sent this tweet. It’s an important reminder (that both sides — pro censorship and anti censorship — matter to the book discussion).